It can be miserable to feel too sleepy. If you always have trouble staying awake during the day, you may wonder, "Why do I feel sleepy all the time?" Discover some of the common symptoms of excessive sleepiness and potential health consequences, and then dive into seven reasons that sleep disorders may lead to feeling sleepy all the time. Excessive sleepiness may have significant impacts on health. It increases the risk of falling asleep while driving. Sleep deprivation has physical tolls, affecting chronic pain, hormones, and weight gain. Insomnia may contribute to anxiety and depression. Sleep disorders like sleep apnea may cause hypertension, diabetes, heart attack, heart failure, stroke, and sudden death. Quality of life is significantly compromised by poor sleep. Fortunately, there may be effective treatments if the underlying cause of sleepiness can be identified. Discover seven common reasons for feeling or being too sleepy during the day, including various sleep disorders that lead to abnormal sleepiness. There are four defining symptoms of narcolepsy, the least specific being excessive sleepiness. This sleep disorder occurs when there is a problem with the regulation of sleep and wakefulness. Therefore, characteristics of sleep may suddenly occur while awake (such as paralysis) and elements of wakefulness may intrude upon sleep. The most characteristic symptom of narcolepsy is cataplex, which is the sudden loss of muscle tone with an emotional stimulus such as surprise or laughter. The sleepiness associated with narcolepsy may require treatment with stimulants, such as Ritalin, Provigil, and Nuvigil. You may not know exactly how much sleep you need. You may choose to not sleep enough because of work or social obligations, which is sometimes called sleep restriction. You could be trying to sleep in a poor sleep environment that is not conducive to sound sleep, such as leaving the television on at night. You may have a horrible bedtime routine that does not prepare you well to fall asleep. You may fail to follow any of the other simple guidelines to improve your sleep, such as avoiding caffeine and alcohol near bedtime. Any and all of these things may leave you too sleepy the next day, without any specific sleep disorder as the cause. Chronic fatigue syndrome is a condition that might make you feel tired, exhausted, or sleepy. It is characterized by worsened fatigue that occurs after exertion. It is also associated with less refreshing sleep and frequent joint and muscle pain. Although the cause of chronic fatigue syndrome is not completely understood ​and may be due to subtle sleep apnea, it can lead to significant impairment and disruption of the affected person's life. Various circadian rhythm disorders may leave you feeling too sleepy. The circadian rhythm is the body's natural clock that helps to coordinate your activities to the timing of light and dark in your environment. If this timing is misaligned, you may find yourself sleepy at inappropriate times. For example, if you have advanced sleep phase syndrome, you will feel sleepy in the evening. Conversely, with delayed sleep phase syndrome, you will have difficulty falling asleep (or insomnia) and feel sleepy in the morning. People with the first condition are called morning larks and those with the second condition are called night owls. Fortunately, there are effective treatments, like light therapy and the use of melatonin, for these and other circadian rhythm conditions, including jet lag and seasonal affective disorder (SAD). Although quite rare, Kleine-Levin syndrome is a condition that may affect young adults and can cause recurrent episodes of excessive sleepiness. These episodes can last for days, weeks, or even months at a time. And the sleepiness can be incapacitating. Moreover, the syndrome often interferes with school attendance and basic daily functions. There may be associated symptoms, such as hallucinations or hypersexual or compulsive behaviors, too. The only treatment known to be beneficial in Kleine-Levin syndrome is the mood stabilizer lithium, though it has mixed benefits in some studies. 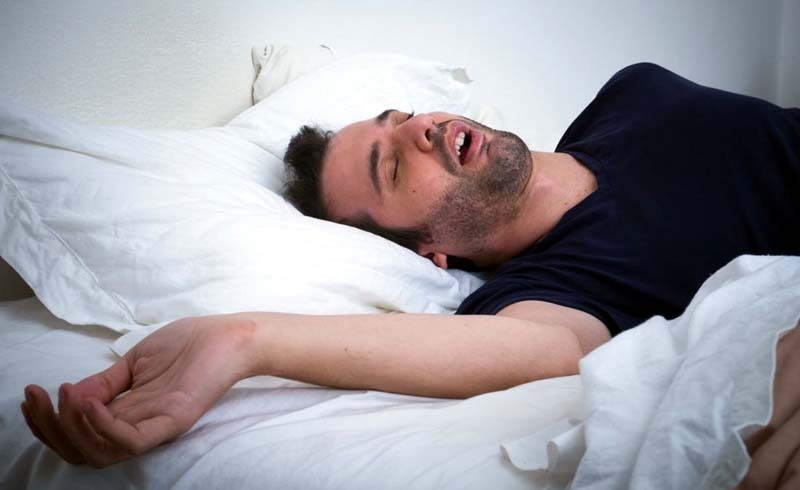 Sleep apnea is a condition in which you repeatedly, partially, or completely stop breathing while asleep. It can occur dozens or even a hundred times per hour of sleep and may result in witnessed pauses followed by a loud snort and brief awakening as you gasp for air. With each awakening, you shift briefly into lighter stages of sleep. You may wake completely and fall back asleep without even remembering it. But, this disruption leads to sleep fragmentation and poor quality sleep, resulting in significant excessive daytime sleepiness. People with severe sleep apnea are also at increased risk for falling asleep while driving. Upper airway resistance syndrome (UARS) is a similar condition in which the breathing disturbances are less pronounced during sleep. There are also serious health consequences to sleep apnea, so treatment such as the use of continuous positive airway pressure (CPAP) therapy or the use of an oral appliance should be pursued. Disorders that cause excessive movements during sleep may lead you to feel sleepy the next day. The most common of these conditions is restless legs syndrome (RLS). This disorder is characterized by an uncomfortable sensation in the legs associated with an urge to move. It often develops in the evening as you are lying down to rest and is relieved by movement. The commonly associated condition, periodic limb movement syndrome (PLMS), is diagnosed when there are sudden jerking movements that occur during sleep. These may be repetitive and disturb the sleep of the affected person as well as potentially disrupt the sleep of their bed partner. Fortunately, there are effective treatments available for these conditions, depending on the underlying cause.